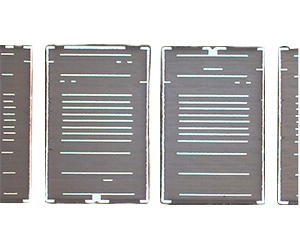 HDI PCBs, (High Density Interconnector) are printed circuit boards that incorporate a very dense interconnection between the component(s) and the circuit board itself. In order to accomplish this, there are many different design technologies that need to be implemented into the circuit board to be able to accomplish such an extreme pad density. The obvious repercussions of adding these design technologies to the PCB are the negative effects it may have on the reliability, as well as the manufacturing costs of the PCB. Most applications are using micro-vias that are 0.006” and smaller, that require a ‘pad in via’ design. Manufacturing ‘pad in vias’ requires that the via has to be filled in almost all cases with a conductive material, or at least have a conductive material on the top of the via for connection purposes. The two main ways of accomplishing this is by conductive via plug, or plating the vias shut using a special copper plating method. Both processes have their advantages and disadvantages, and are very dependent on the end-use of the PCB. 1+N+1 – PCBs contain 1 "build-up" of high-density interconnection layers. i+N+i (i≥2) - PCBs contain 2 or more "build-up" of high density interconnection layers. Microvias on different layers can be staggered or stacked. Copper filled stacked microvia structures are commonly seen in demanding designs. Any Layer HDI - All the layers of a PCB are high density interconnection layers which allows the conductors on any layer of the PCB to be freelyinterconnected with copper filled stacked microvia structures. This provides a reliable interconnect solution for highly complex large pin-count devices, such as CPU and GPU chips utilized on handheld and mobile devices.